This is what is called a "Iron front" clock. 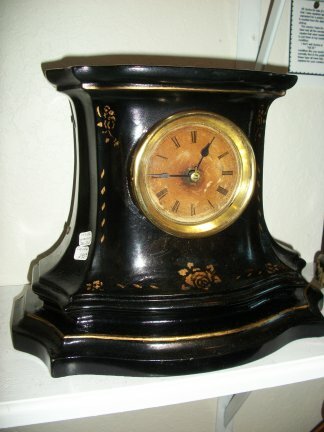 This clock was made by the Waterbury clock company and is an early one, maybe 1865 or so. 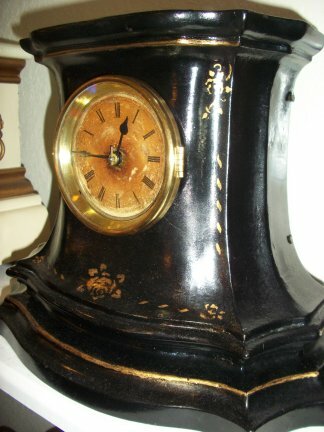 Close up view of the front of the case showing the face and the stencil work done on the clock. 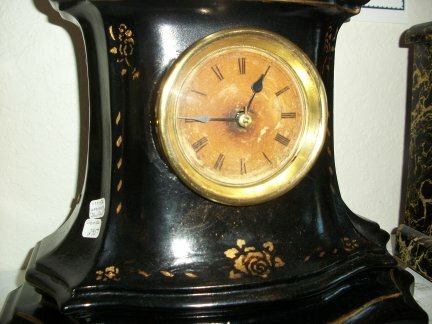 The winding arbors for the clock are hidden by the bezel, which is typical for this type of clock. Side view of this clock.